Maria and Serge have completed in adventure racing all around the world- they have a few world championships under their belts and have participated in some of the world's most prestigious adventure racing fests. Maria and Serge love to share their racing passion and enjoy organising high quality races to enable other people to participate in safe, enjoyable and challenging events across Victoria. Maria has over seven years' experience in event management and has developed and managed customised, corporate programs and sport events across Russia and Europe. Maria has secured podium finishes in adventure racing, multisport and rogaining events in Australia in recent years. Serge's IT background spans fifteen years of experience; incorporating technical and management skills. His love of the outdoors developed in his early childhood when he would ski in the winter and white water in the summer. 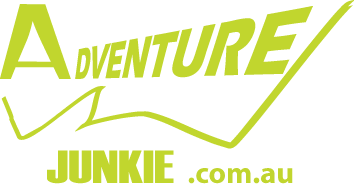 This expanded into adventure racing over ten years ago. During this time Serge completed expedition and stage adventure races and has obtained valuable experience and know-how to to understand and know what it takes to deliver high quality events. He is always in search of new challenges and motivated to compete in every race on the calendar! His addiction to racing developed an appetite to bring on his own races and a desire to share the excitement of adventure racing with everyone.